In medium bowl, stir strawberry gelatin and boiling water until dissolved. 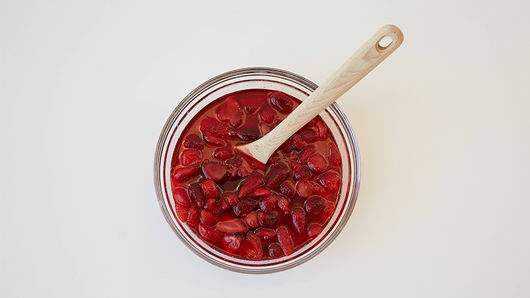 Stir in strawberries and juice; refrigerate 60 to 90 minutes or until partially set. Meanwhile, heat oven to 350°F. In small bowl, mix crushed pretzels, melted butter and 1/4 cup of the sugar. 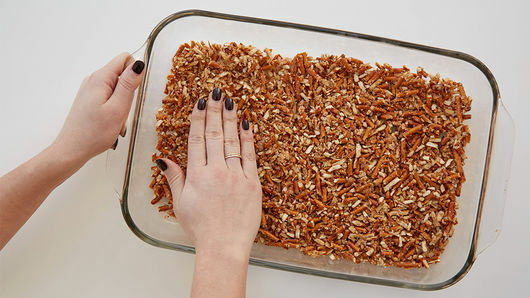 Press firmly into bottom of ungreased 13x9-inch (3-quart) baking dish. Bake 10 minutes; cool completely, about 30 minutes. In medium bowl, beat cream cheese, yogurt and remaining 1/4 cup sugar with electric mixer on medium speed until smooth. 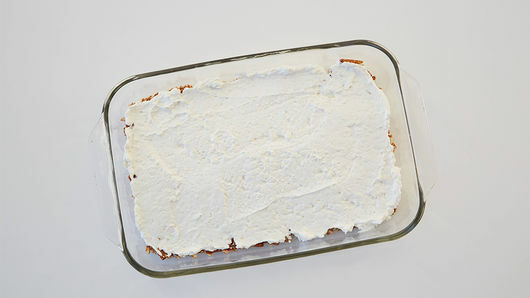 Fold in whipped topping until incorporated. Carefully spread over cooled crust. 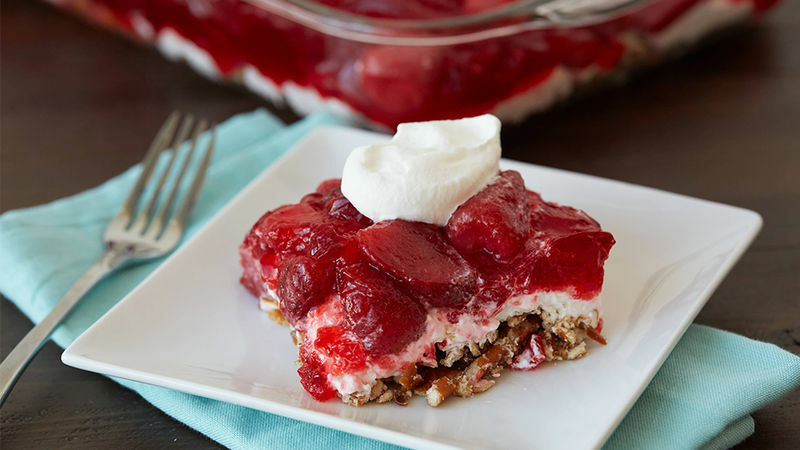 Pour strawberry gelatin mixture over cream cheese filling layer; spread evenly. Refrigerate until firm, at least 3 hours. To serve, cut into 4 rows by 3 rows. If desired, top with additional crushed pretzels or a dollop of whipped topping before serving.